After years of mutual hostility, the armed forces of two states and the armed militias of one failed state are poised to unleash a potentially devastating war in the Horn of Africa. Ethiopia, Eritrea and Somalia are each moving troops up to their borders in preparation. All parties have agreed to a third round of Arab League-brokered peace talks in Khartoum this week. The negotiations may represent the last opportunity to avoid the outbreak of a general war in the turbulent and highly strategic Horn region. The importance of these talks is reflected in the decision to invite the Inter-Governmental Authority on Development (IGAD) to join mediation efforts (Shabelle Media Network, October 22). IGAD is an important regional assembly of seven East African countries that negotiated the formation of Somalia’s Transitional Federal Government (TFG) in 2004. The TFG is now isolated in the Somali town of Baidoa, where its existence relies on the support of Ethiopian troops and various Somali militias. Soldiers of the Islamic Courts Union (ICU), Somalia’s coalition of militant Islamists, are now poised for an attack on the makeshift capital where TFG leaders are engaged in bitter disputes with each other. Fighting has already broken out between the Islamists and combined TFG/Ethiopian forces for control of the approaches to Baidoa. There is a strong irredentist strain in ICU politics based on the goal of creating a “Greater Somalia,” incorporating the ethnic Somali populations of neighboring countries like Ethiopia, Kenya and Djibouti. The ICU is led by Sheikh Hassan Dahir Aweys, a veteran of fighting in the Ogaden region of Ethiopia. 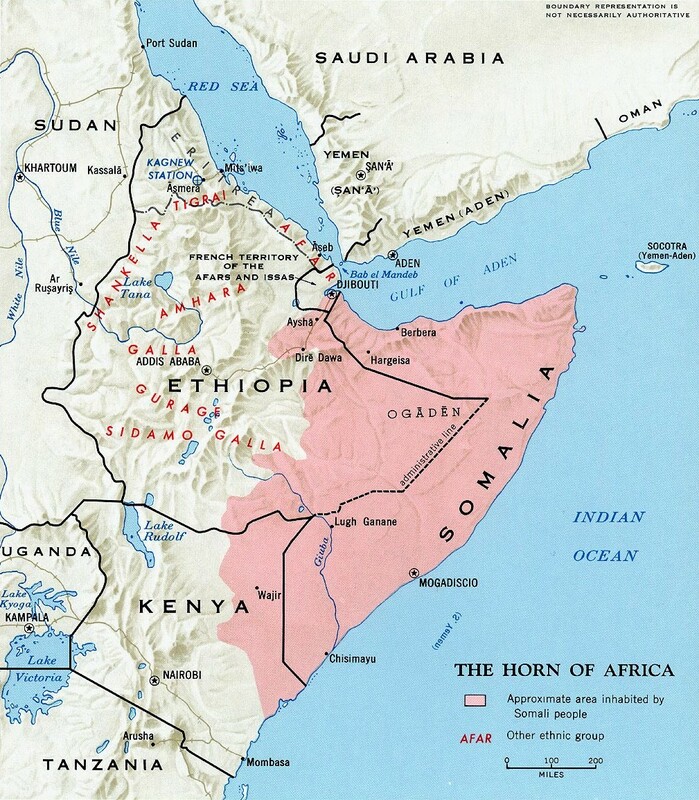 Ethiopia and Somalia already went to war in 1977-78 over the Ogaden region, home to a Somali Muslim population of four million. The ethnic Somali Ogaden National Liberation Front (ONLF) is allegedly supplied by Eritrea (The East African, October 23). Sheikh Aweys’ repeated calls in recent days for jihad against the Ethiopian regime have succeeded in inflaming tensions on both sides of the border. Even as he is criticized for human rights abuses in Darfur, Sudanese President Omar al-Bashir is set on applying his prestige as this year’s chief of the Arab League to bring a successful resolution to Somalia’s Khartoum-based peace talks brokered by the Arab League. Fresh from negotiating a peace deal with eastern Sudan’s resistance movement, the Sudanese regime would like to add a diplomatic success to its efforts to present Sudan as a responsible member of the international community by resolving the conflict in Somalia, an important step in warding off a UN military intervention in Darfur. 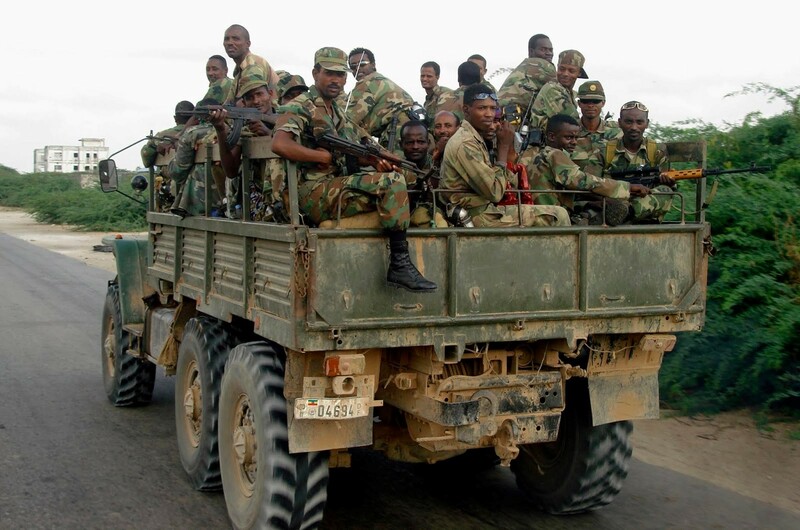 Ethiopia has admitted to sending “several hundred” troops to aid the TFG in Baidoa, although independent reports suggest that the number is as high as 6,000-8,000 troops. Several battalions of Ethiopian troops and tanks have moved up to the Somali border to counter Sheikh Aweys’ calls for jihad. Ethiopia’s Meles Zenawi government has its own problems as it is prosecuting more than 100 opposition members for treason after violent demonstrations following charges of electoral fraud in last year’s Ethiopian elections. Approximately 193 civilians were killed in clashes with security forces. There are also serious ethnic tensions between the Tigrean-dominated government and Amhara and Oromo members of the general staff, leading to questions surrounding army loyalty to the regime in a crisis. After a bombing campaign blamed on “Eritrean-backed terrorist elements,” Ethiopia is adopting its first law on terrorism and is cooperating with U.S. forces based in Djibouti in an effort to intercept terrorists heading to the Horn (Daily Monitor [Addis Ababa], October 10; Shabelle Media Network, October 12). The Eritrean Ministry of Foreign Affairs issued a bold response to U.S. claims that Eritrea was shipping arms to the ICU. In a statement, the ministry accused the United States of using the charges to cover up the failure of its own policy in Somalia to justify the “disinformation campaign” surrounding terrorism in Somalia and to “create a pretext for the invasion of Somalia by its agent, the regime in Ethiopia” (Shabait.com, October 20). There is considerable bad blood between Ethiopia and Eritrea following a brutal border war in 1998-2000. The UN reports 1,500 Eritrean troops with armor have assembled on the edge of the UN administered buffer zone with Ethiopia. Ethiopia claims the number of Eritreans massed on the border is closer to 10,000 when local militias are included (SomaliNet, October 25). Some Eritrean units may already be operating within Somalia in support of the ICU. Last week, senior ICU leader Hassan Abdullah Hersi al-Turki (a U.S.-designated al-Qaeda suspect) announced that the ICU was ready to attack Baidoa, Somaliland and Puntland (Horn Afrik Radio, October 24). There is limited support in northeast Africa for a peacekeeping force in Somalia, whether under African Union or IGAD auspices. Uganda, an opponent of ICU ambitions, is the most enthusiastic advocate of such an intervention, offering 1,000 troops. Ugandan President Yoweri Museveni maintains that Uganda’s main goal would be to train a Somali national army (New Vision [Kampala], October 10). Kenya’s efforts to train Somali TFG security forces have tainted it in the eyes of ICU leaders, although Nairobi has yet to offer any troops to a peacekeeping force. Sudan is expected to provide several thousand troops to the proposed mission, which is still without funding. The ICU violently opposes any talk of foreign peacekeepers in Somalia. For the moment, all parties are at a standoff. Somalia is incapable of offering any resistance to Ethiopian regulars and armor in the open, where numerous ICU formations would be quickly cut off from each other. Anti-ICU militias such as the rejuvenated Juba Valley Alliance can be expected to go on the offensive against the Islamists, especially if Ethiopia decides to arm anyone ready to fight the ICU. If Ethiopian forces cross the border, the ICU could be expected to fall back on the cities, especially Mogadishu, where their experience in urban warfare would bedevil Ethiopian attempts to secure urban areas. Supplies and possible military assistance to the ICU from Eritrea would drag Ethiopia into a costly and ultimately futile attempt to impose the TFG on an unwilling population. For the Ethiopians, invasion would be easy, yet occupation would remain impossible. With its covert support for ICU forces, Eritrea seems less concerned with stability in Somalia than with keeping Ethiopia off-balance. U.S. foreign policy is presented with a dilemma; a U.S. intervention in Somalia tends to inspire anti-American sentiment, with few, if any, material successes. Covert support for the failed anti-terrorist coalition of Somali warlords has undone the goodwill built by years of humanitarian assistance. Allowing the Khartoum peace talks to take their course might result in some sort of integration of the ICU into an emerging Somali power structure (a potential blow to Washington’s war on terrorism), while the insertion of an African Union peacekeeping mission in Somalia without the cooperation of the ICU may spark a regional war capable of dragging in a number of neighboring states. Such a conflict will inevitably draw international jihadis operating under independent commands. In a highly underdeveloped region suffering almost continually from environmental disasters, all the ingredients are in place for a full-scale humanitarian catastrophe. In a surprise move, the Russian Defense Ministry assigned security responsibility for its team of military engineers in Lebanon to two detachments of Chechen troops, despite the outcry from human rights activists who cite the units for incidents of kidnapping, torture and murder. In Lebanon, the Chechens will be operating in a land once ruled by Circassian Mamlukes from the North Caucasus. Neither the United Nations nor Israel was given advance warning of the Chechen deployment. According to President Putin, the Chechens, as Muslims, will find it easier to “establish contacts with the local population” (Interfax, October 10). Alu Alkhanov, president of Chechnya’s pro-Russian administration, observed: “Importantly, all of these men strictly observe the Muslim rites which will play a role in Lebanon” (Interfax, October 4). Televised footage from Lebanon of Muslim troops of the Russian Army in prayer are a departure for the Russian Army, which has close ties to the Russian Orthodox Church and has historically been a hostile environment for religiously observant Russian Muslims. In announcing that Muslim servicemen would be allowed to pray and observe the Ramadan fast, Lieutenant-General Tsygankov (commander of the Russian task force) did not appear particularly enthused with the changes; “If they are religious to the extent that they need to serve religious ceremonies in a close-to-combat environment, they are free to do so” (Interfax, October 4). The Russian security detachment consists of two platoons of Chechens, one each from the Zapad (West) and Vostok (East) battalions of the 42nd Motorized Rifle Division, permanently stationed in Chechnya. The East and West battalions of Chechen troops are controlled by Russian military intelligence (GRU) and do not report directly to the Chechen government. The North and South battalions controlled by the Interior Ministry (MVD) are not involved in the operation. The Russian field camp is self-sufficient, with larger security concerns handled by the Lebanese Army. Supplies are brought direct from Russia in Il-76 transport aircraft. The Russian task force (300 engineers, 54 security men and 1 platoon of bomb disposal sappers) is stationed in the Saida region of Lebanon, near the Mediterranean coast. The Russian group intends to build six temporary bridges north of the Litani River by December. UNIFIL operates only in the region south of the river and north of the border with Israel. The Russian presence exists completely outside of UNIFIL command, based on a separate agreement between Beirut and Moscow. In Israel, Russia is suspected of covert support for Hezbollah. Despite coming under the same command, the two Chechen units have many differences, reflected in their contrasting commanders. The Zapad Battalion is led by Said-Magomed Kakiev, a career military man who began his association with the GRU as a member of the Soviet Red Army in Karabakh during the dying days of the communist state. 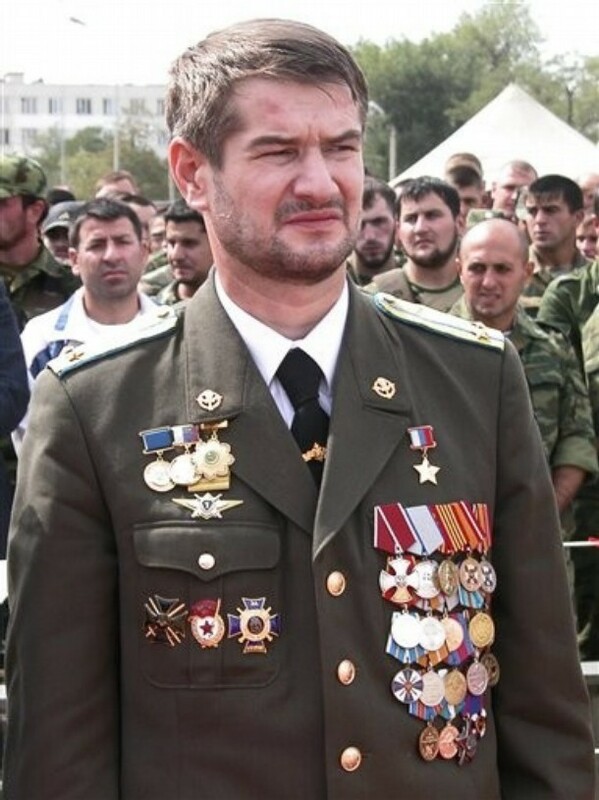 Missing an eye and an arm from a grenade blast, Kakiev is now a GRU Major, his loyalty to the Russian Federation displayed in a tunic full of Russia’s highest military decorations. A native of the northwest region of Chechnya, a place with deep historical ties to Russia, Kakiev fought with the pro-Russian Chechen militias against Dudaev’s separatists in the first Chechen-Russian war. Following the war, Kakiev and many of his men were forced to withdraw to Moscow, but rejoined federal troops during the siege of Grozny in 2000. Shortly afterward, Kakiev’s pro-Russian militia was in the front line during the encirclement and eventual slaughter of Ruslan Gelaev’s column at Komsomolskoye. The dependable Kakiev’s counterpart as commander of the Vostok battalion is long-time warlord Sulim Yamadaev, an ex-rebel and notorious kidnapper who sees the Vostok formation as existing mainly to serve the interests of the powerful Yamadaev family. A one-time ally of Ramzan Kadyrov, Yamadaev is now a bitter opponent of the prime minister. Sulim’s brother Ruslan is a State Duma deputy representing the pro-Putin United Russia party in Chechnya. An explosion in 2003, blamed on either the resistance or the Kadyrovs, killed another brother, military commander Dzhabrail Yamadaev. 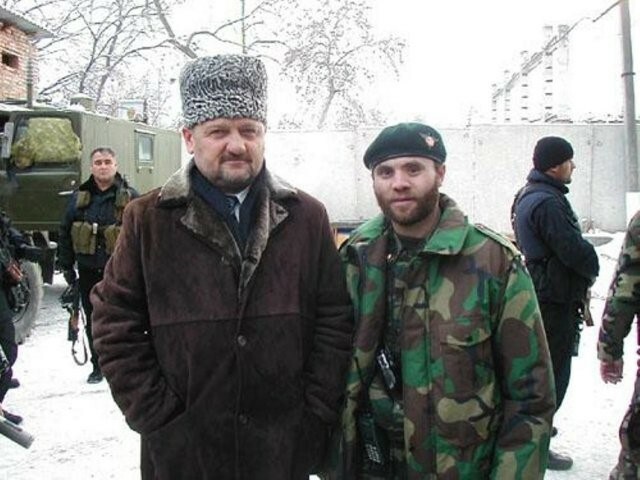 Though allegiances are fluid in Chechnya, both GRU units generally support Chechen President Alu Alkhanov in his disputes with Prime Minister Ramzan Kadyrov. Disputes between Yamadaev’s group and Ramzan Kadyrov’s men are common and frequently violent. Kakiev’s men regard Yamadaev’s group as thoroughly penetrated by double agents and sympathizers with the resistance. Vostok has developed a reputation for indiscipline and brutality. In June 2005, members of the battalion broke away from a planned operation to undertake a revenge raid on civilians in the ethnic Avar village of Borozdinovskaya. The village was founded in the 1950s by Avar emigrants from neighboring Dagestan and used to maintain its own militia to protect it from predatory Chechen gangs, including one led by Sulim Yamadaev (Moscow Times, June 23). The raid left one dead and eleven still missing after their detention. Most of the village’s 1,000 residents fled to Dagestan and could only be persuaded to return with great difficulty. President Putin’s representative in the North Caucasus, Dmitry Kozak, denounced the operation as “direct sabotage” against Russia (RIA Novosti, June 24, 2005). An investigation resulted in a Vostok officer receiving a three-year suspended sentence. On September 15, Vostok members made a surprise appearance in St. Petersburg to intervene in a real estate dispute between two Chechens. The dispute revolved around a meat-packing plant owner who refused to sell his land to another Chechen who was assembling real estate for a housing development worth $1 billion. The plant’s offices were occupied in a military style operation and the reluctant seller was allegedly beaten. He resigned the following day (Kommersant, September 19; Chechnya Weekly, September 21). The meat plant raid clearly showed that the Vostok battalion was in need of work, since it apparently had enough time to become involved in property disputes in St. Petersburg. The apparently independent movement of a unit of 20-40 armed Chechens to St. Petersburg was an embarrassing reminder of the undetected arrival of Movsar Barayev’s Chechen terrorist group in Moscow four years ago. Defense Minister Sergei Ivanov noted that the Chechen deployment to Lebanon was “a reasonable step because as of recently, these servicemen do not have much work to do in the territory of Chechnya” (Itar-Tass, October 4). The Israeli government has said nothing publicly about the Chechen mission, but there is no doubt some alarm in security circles regarding the fact that the Russian security force is composed of military intelligence elements operating without UN supervision. Israel’s Prime Minister Ehud Olmert was recently in Moscow seeking guarantees that Russian arms to Syria would stop ending up in Hezbollah hands. Russia’s privately negotiated peace mission to Lebanon continues a Russian Federation tradition of unilateral operations, as seen in Kosovo and post-Taliban Afghanistan. The Chechen stay in Lebanon is likely to be a quiet one. On their best behavior, these selected representatives of Zapad and Vostok are unlikely to meet any opposition to their bridge-building mission. With the Chechen war in a low-intensity phase, the Kremlin has found a useful task for its restless Chechen militias, presenting Russia’s Muslim face to the Middle East as part of a wide-ranging initiative to improve relations in the region. The Chechen deployment is also intended as a public demonstration of Chechen loyalty to the Federation; as pro-Russian Chechen Premier Ramzan Kadyrov put it, “Serving the Russian flag and enjoying the trust of their fellow citizens, what can be more important than that?” (Itar-Tass, October 4). This article originally appeared in the October 26, 2006 issue of Chechnya Weekly.